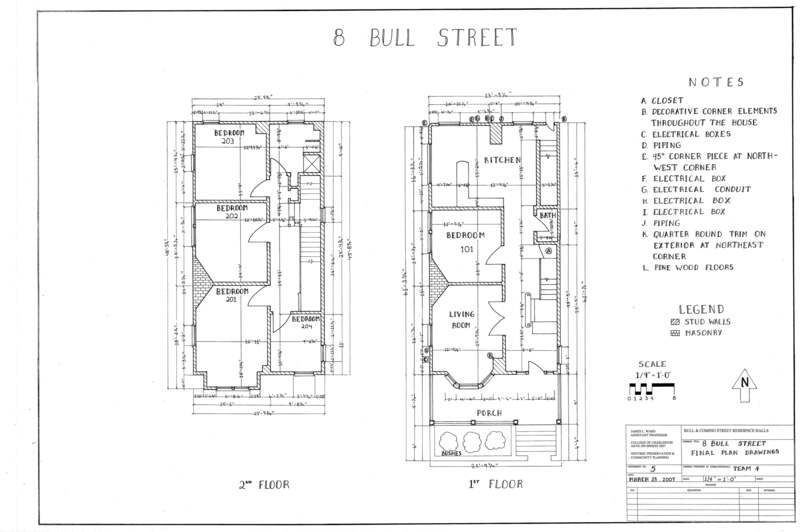 Historic Preservation and Community Planning, College of Charleston – Ashley N. Bouknight, Ph.D. I received Bachelor of Arts in Historic Preservation and Community Planning from the College of Charleston in 2007 to aid in my efforts to “save” all things historic. Similar to architecture programs, the coursework in my undergraduate program was taught by practicing architects and preservation lawyers. Our classes were rarely held in classrooms; but instead held in historic homes and at construction sites of historic properties around the city. The course that had the greatest impact on my understanding of historic preservation was Preservation Studio. My colleagues and I learned how to produce building blueprints by hand using the same tools and measuring methods of advanced architects. 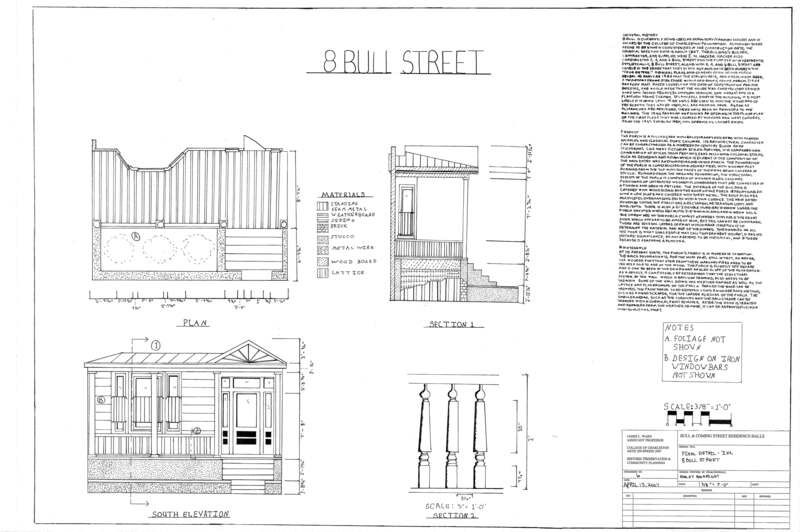 All of the blueprints developed in this class were later used by the City of Charleston in an architectural building survey report for the city’s downtown historic district.